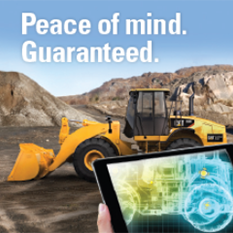 Our excavator rental solutions in Salt Lake City and all of Utah are adaptable to the way you do business. If you're looking for a top-quality excavator to rent by the day, week, month or even for an entire year, we have the equipment you need. Rental purchase options are also available if you’re interested in eventually owning the excavator. Excavator Rental Rates: Call 801-974-0511 for pricing or reach out to us online for more information. And when you add attachments to your excavator, the versatility of your machine multiplies. Work tools like compactors, grapplers, hammers, thumbs, rakes and augers help you reach tasks beyond the use of a bucket. Wheeler also has various models available to support your exact requirements. Depending on the project, you can determine what type of Cat excavator rental you need. While excavators are versatile in themselves, implementing accessories can form more flexibility compared to other engines in your fleet. Should You Rent or Buy an Excavator? Renting can be your best bet whether you’re setting the foundation of your business or searching for economical ways to remain efficient. We test, service and maintain each machine to ensure optimal performance levels. Our experts work with every component, so you can start reaching your deadline. We also have a branch in Ely, Nevada, to provide rentals to other surrounding areas. Wheeler strives to provide superior excavator rentals in Utah, as well as diverse attachments to supplement your heavy equipment. Our low-hour, well-maintained excavators are available for daily, weekly, monthly or yearly agreements. We provide flexible solutions so you can remain ahead. The online Wheeler Cat Rental Store is your home for reliable Cat hydraulic excavator rental units in various sizes and configurations. These late-model, low-hour machines have been maintained and are ready for immediate pickup or delivery. 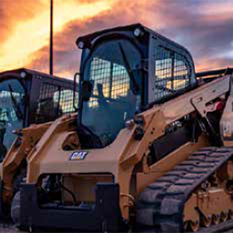 When you browse the Cat Rental Store site, you get access to up-to-date pricing and product specification information that will help you make an informed decision for your company. Of course, you can always contact a knowledgeable Wheeler Machinery expert for personalized excavator rental service in Salt Lake City and throughout Utah. Since 1951, companies have been relying on our rental services to complete even the most challenging jobs. Renting an excavator will increase workflow efficiency and boost your bottom line, whether you're in construction and agriculture or demolition and governmental work. We partner with you each step of the way including the point after purchase. Our experts provide real advice if you’re not sure which excavator solution fits your list of requirements. To rent an excavator in Utah, contact us online. Or, call a Wheeler representative at 801-974-0511 to learn more about our renting options. You can also request a free estimation. 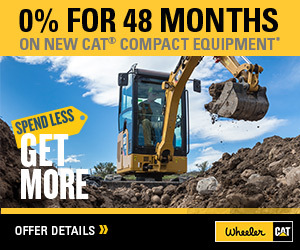 Make Wheeler Machinery Co. your hydraulic excavator rental headquarters in Utah!